With the league finishing up for the winter break first, all eyes were on the last round of European fixtures, with five Russian clubs in action and still chances for all five to proceed to the knockout rounds in 2019. However, it did not transpire that way, and only two of the five will continue their European journey in the spring. We now will look back at the 2018/19 group stages and pick out what the clubs did right AND wrong. Having won the league last season, Lokomotiv qualified direct to the groups as top seeds. They were seen as the easiest of the top seeds – with good reason – but were drawn a favourable group against Schalke, Porto and Galatasaray. However, the reigning champions could not carry their league winning form over to Europe, and struggled even against the weaker opposition. Having lost the opening match to Galatasaray, Loko could have done themselves some favours had they not conceded a late goal to lose 1-0 to Schalke at home. A win in matchday five against Galatasaray at home inspired a faint chance of a Europa League spot, but ultimately two terrible performances against Porto cost them dearly, and another late goal against Schalke condemned them to last place in the group. CSKA also qualified direct for the groups as second place finishers in the league last season. Drawn from pot three, they were handed a tricky group with Real Madrid, AS Roma and Viktoria Plzen. On paper, it seemed impossible to make the top two, but CSKA certainly seemed a solid contender for the 3rd place Europa League spot. 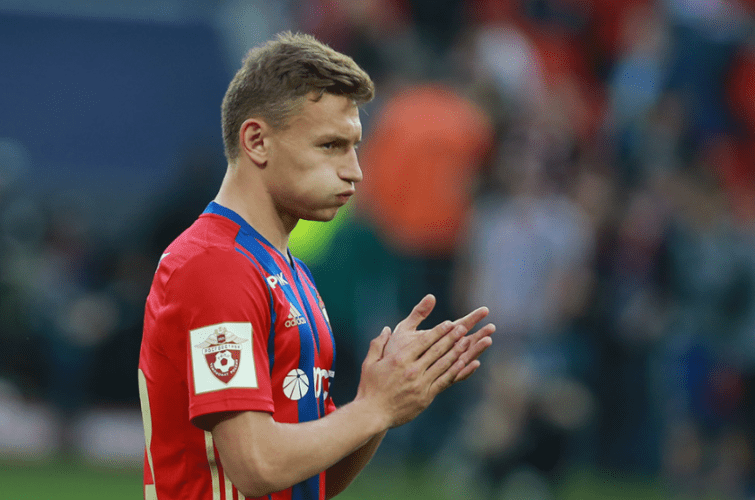 After salvaging a late draw away to Plzen on matchday 1, CSKA shocked the whole of Russia, with a win at the Luzhniki over Real Madrid. A goal within the first two minutes from Nikola Vlasic, followed by a resilient defensive performance, earned them a famous victory. Two tough matches and subsequent defeats against Roma followed, one marred by tragic incident on the Rome metro in which one CSKA fan lost his leg. The big match of the group was vs Plzen at home. A win would secure them a spot in the Europa League regardless, but CSKA threw away a 1-0 lead in the second half to lose 2-1. That result led them to need to out-perform Plzen’s result on the final matchday to secure third place. The only problem, they had to go to the Bernabeu. However, CSKA’s young stars once again shocked Europe, securing what is perhaps the club’s best ever result, a 3-0 win – Real Madrid’s worst ever home defeat in the group stage. However, Roma slipped up in Plzen, and therefore CSKA became the first ever club to beat Real Madrid home and away in the group stage and not qualify. Zenit qualified for the group stages following a huge scare in qualifying against Dinamo Minsk. Zenit looked all but out following a shock 4-0 drubbing in Minsk, but Sergey Semak’s men, led by an inspired Artem Dzyuba, rallied to bring the score back to 4-4 on aggregate, triggering extra time, before going on to eventually win 8-1 on the night. In the group, Zenit were top seeds and drawn with Copenhagen, Bordeaux and Slavia Prague. Not the easiest group, but not the hardest either, and despite their troubles qualifying, Zenit were still fancied to qualify. They duly did just that, though they were not at all convincing. Having edged out a draw in Denmark, Zenit needed late goals to secure 7 points in their next three matches, perhaps undeservedly winning at home against Bordeaux. This meant they could relax for the last match with first place sealed, and they slipped to a 2-0 defeat in Prague. Spartak had the chance to be the third Russian side in the Champions League this season. However, they threw that away with two poor legs against Greek side PAOK, and subsequently dropped into the Europa League. Their opponents, Villarreal, Rangers and Rapid Wien. On paper, Spartak could have had a decent shout. At least, had they kept Quincy Promes. After selling their big star on deadline day, Spartak failed to trouble Rapid in Austria, losing 2-0. A scintillating home tie against Villarreal followed, and had they not conceded a 96th minute penalty, would have secured a valuable three points. Having drawn a stalemate at Ibrox, Steven Gerrard’s Rangers came to visit after Massimo Carrera had been given the boot. Caretaker Raul Riancho oversaw a thrilling 4-3 victory, which Spartak were trailing three times. However, this was their only win of the campaign, with Spartak conceding two late goals at home to Rapid to throw away any big chances of qualifying. A trip to Villarreal required a win and for other results to go their way, but a lacklustre Spartak lost once more, and dropped out of Europe early again. Having finished in third place in the league, Krasnodar qualified directly for the group stage, drawn out of pot 2. A favourable draw saw them grouped with Sevilla, Standard Liege and Akhisarspor, something that even a Smolov-less Krasnodar looked capable of qualifying from. Krasnodar got off to a winning start in Turkey, bagging a 1-0 win despite a poor performance. They then pulled off somewhat of a shock, overturning a 1-0 deficit to beat Sevilla 2-1 at home, courtesy of a late overhead kick from Tornike Okriashvili. The two matches against Standard saw mixed results. A 93rd minute wonder-goal in Belgium meant Krasnodar picked up their first loss of the campaign. However, at home they once again overturned a 1-0 deficit with two late goals from Shapi and Wanderson to secure another valuable win. An unconvincing win over Akhisar at home left them on 12 points and top of the group, but still with a chance to not qualify, should there be a 5 goal swing. Thankfully, despite a 3-0 drubbing in Seville, Standard could not break down Akhisar, and Krasnodar saw themselves through in 2nd place. A tad unconvincing at times, but got the job done.